Christine brings a unique presence to the Pinnacle Behavioral Health staff. Before she joined private practice she held various supervisor and administrative positions in the mental health field. She provides an energetic vibe that her patients love to feed off. Christine is a bachelor’s graduate of Binghamton University and has her masters from the University at Albany. Specializing in both trauma informed treatment and dual diagnoses, Christine is able to give individuals the tools needed to help transform their life. 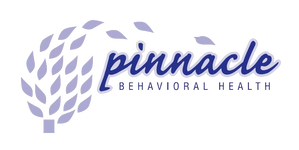 Currently, Christine is a full time member of the Pinnacle Health staff. Hobbies/ Interests: Cooking, Gardening, Crochet &Cross Stitch, Jigsaw Puzzles, Traveling, Reading, and Her Cats!